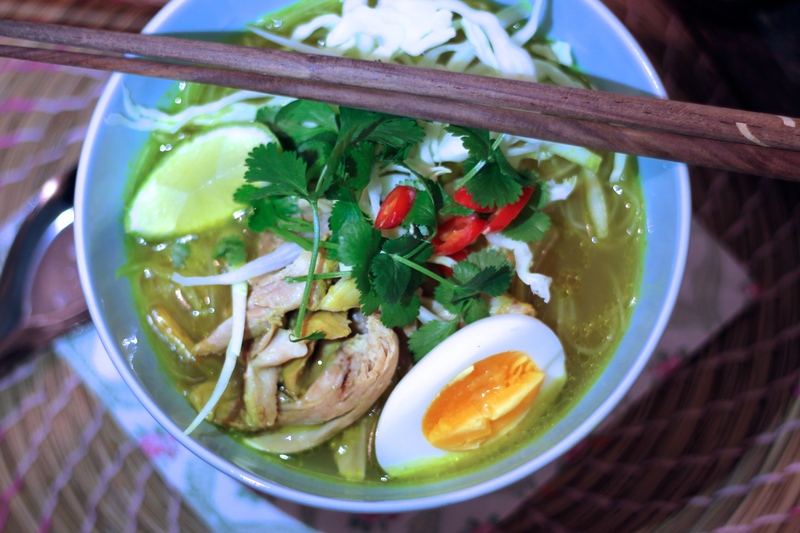 Soto ayam, a classic Indonesian dish that is spicy, sour, flavourful and infused in aromas. I have only tasted it when our Indonesian friend Nora made it for us a few weeks ago. I have been craving for soto ayam ever since and I tried to make it a couple of times. It was so good, not as good as the one Nora made though because she uses her own chili sauce and I think it makes a clear difference, of course. But now I have a basic recipe to share with you. 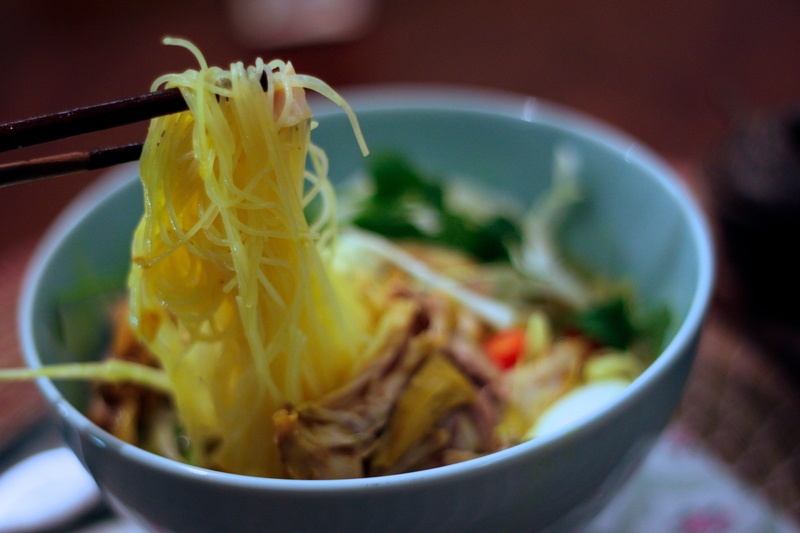 If you ever enjoy noodle soup as much as I do, I assure you will love this one. It is very luring. It is a bit complicated to make since it requires a lot of spices and some works to do like boiling the noodle and egg, but trust me it is so worth the effort. 1) Put all the ingredients except the rice noodles and garnishment into a deep pot, bring to boil and covered, simmer for about 30 minutes. (I used pressure cooker so it took about 15 minutes). 2) Add salt and pepper to taste, place cooked rice noodle into bowls. Drain the soup with sieve. 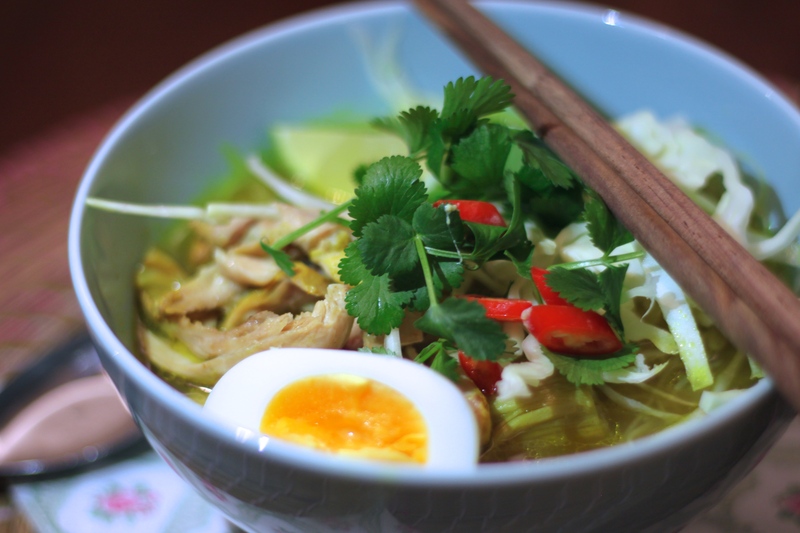 Pour soup over the noodle, then top up with chicken from the soup, half an egg, lime wedge, coriander leaves, fried shallot, and some bean sprouts. To serve, add in some small amount of sweet soy sauce and chili sauce according to own preference ( I put about 1 tablespoon each). It was such a satisfying dish. PS: When the rice noodle is cooked, do rinse it with very cold water to prevent it from sticking together.